Contribute to the Self Known community by writing and sending in a guest post that will touch hearts and make an impact on those who read it. Not only is guest posting is a great way to share and spread what you have to say to new readers who haven't been exposed to your wonderful content yet, but it's a great way to practice using your powerful voice without having emptiness echo it back at you. Short bio explaining you and your site - maximum of 150 words. All photos MUST be your own (I will not accept entries with pics from Pinterest or stock photos). Please make sure any content you submit is original and has not been published elsewhere. Email me (rosecolflesh@gmail.com) by starting off with an introduction of who you are, what you do, where you blog and what you blog about. Please put your suggested post title or description in the subject line (example: How to Wake Up Earlier (Without Feeling Groggy All Day)). Optional but recommended: You can submit a draft your article if you have one ready. After reviewing your email and deciding it fits my blog, I'll contact you back within the next 7 days. Don't forget your author bio and social media links! Comment down below, email me or send me a message via my contact form to reach out and get in touch so we can get started on discussing any of the arrangements mentioned above. I can't wait to hear from you guys! All these options will be available to everyone constantly. BUT, first come first serve, so take action quickly. Who will you reach today? Wanna swap buttons?! I'll go ahead and put yours up if you'd like?! How long would you be interested in?! Oh this is a brilliant idea. Don't mind if I join in? Lovely! I'll be sending an email ASAP! Do we get to choose just one? Where is your button on your blog? Ooh, I'd like to do a guest post! I'll email you. 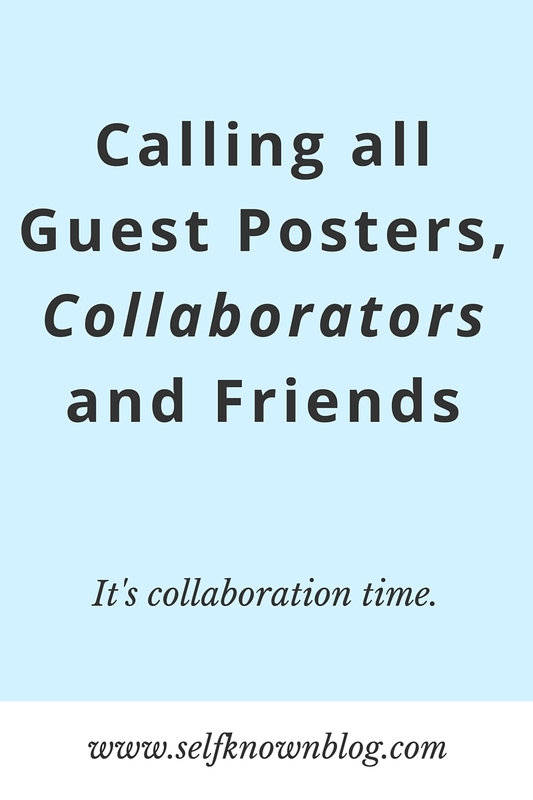 I would love to do a guest post! I just realized I don't have your button featured for some reason (and I would really love to, because I adore your blog) but I can't seem to find it....?